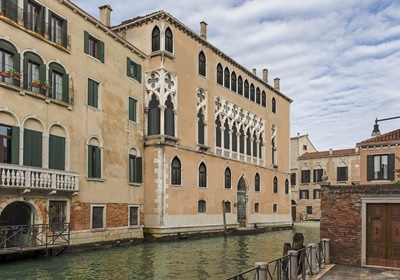 Rosewood Hotels & Resorts® has been appointed by Italian real estate company Gruppo Barletta to manage Rosewood Venice, which is set to open in 2020 as the ultra-luxury brand’s second property in Italy and eighth in Europe. Located in the heart of the bustling Cannaregio neighborhood, Rosewood Venice will be housed within the magnificent fifteenth century Palazzo Dona’ Giovannelli and located near many of the city’s most legendary landmarks, including the Strada Nova, Piazza San Marco, Basilica di San Marco, and Palazzo Ducale. Rosewood Venice will feature two signature dining venues, including a charming piano bar. Additionally, the hotel will include the brand’s renowned Sense, A Rosewood Spa®, a state-of-the-art fitness center, and extensive meetings and events space.